You and your sweetheart define the meaning of True Love; what better way to display the meaning of True Love than with our Personalized Valentine's Day True Love Keepsake. 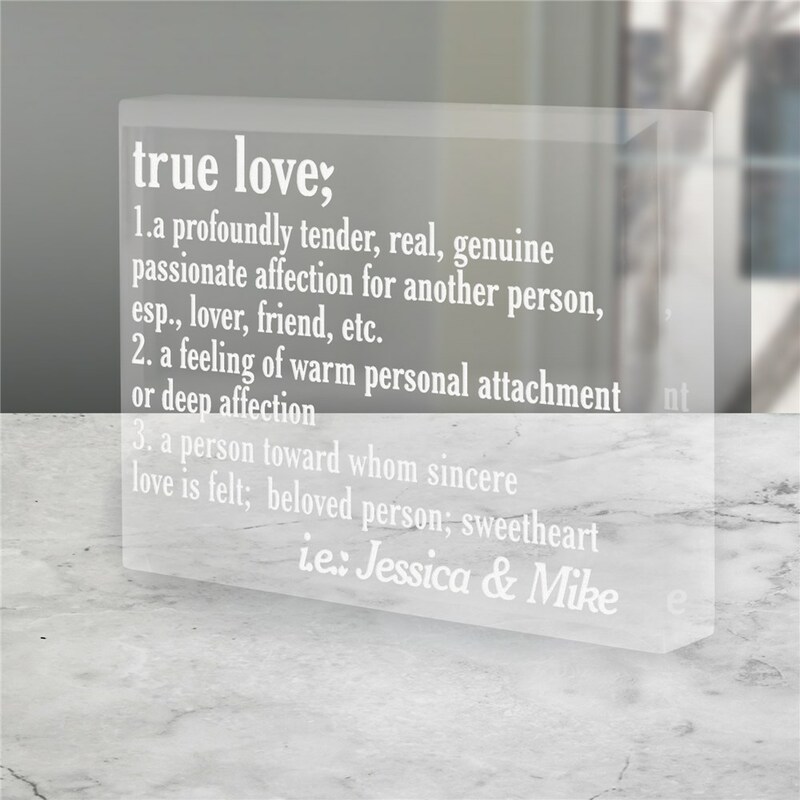 These Personalized Couple Gifts are perfect personalized gifts for any time you want to show your love. These Personalized Gifts for Couples keepsakes with any two names to make it a forever lasting keepsake gift.